Thanks for joining me today. 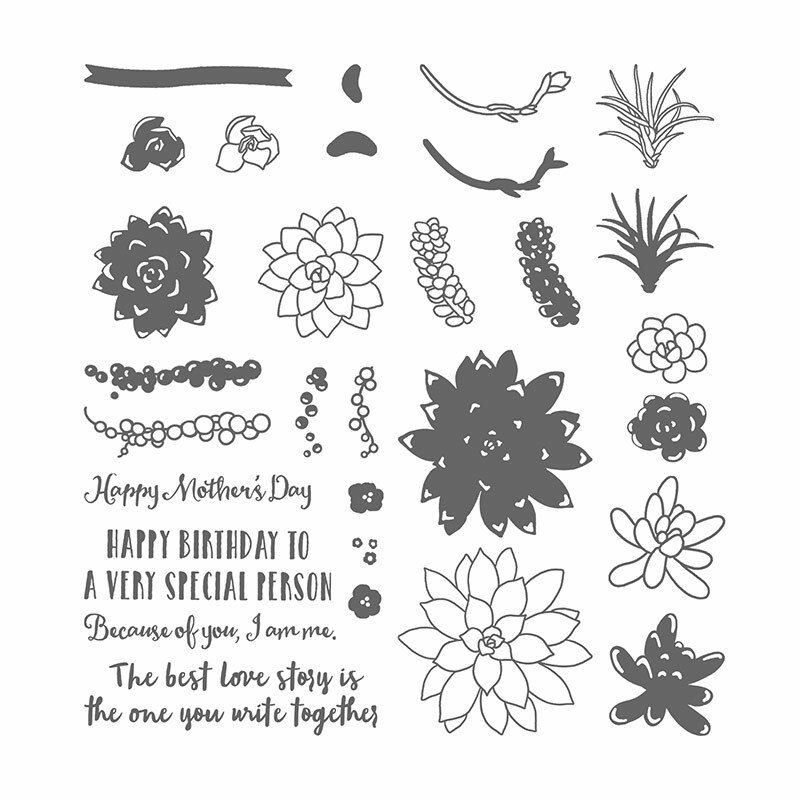 I love this card made with the Oh So Succulent bundle and a few macrame skills! The card is inspired by the very talented Lou Kitzelman. On a base of whisper white and sweet sugarplum I’ve added some watercolour before assembling the hanging basket. 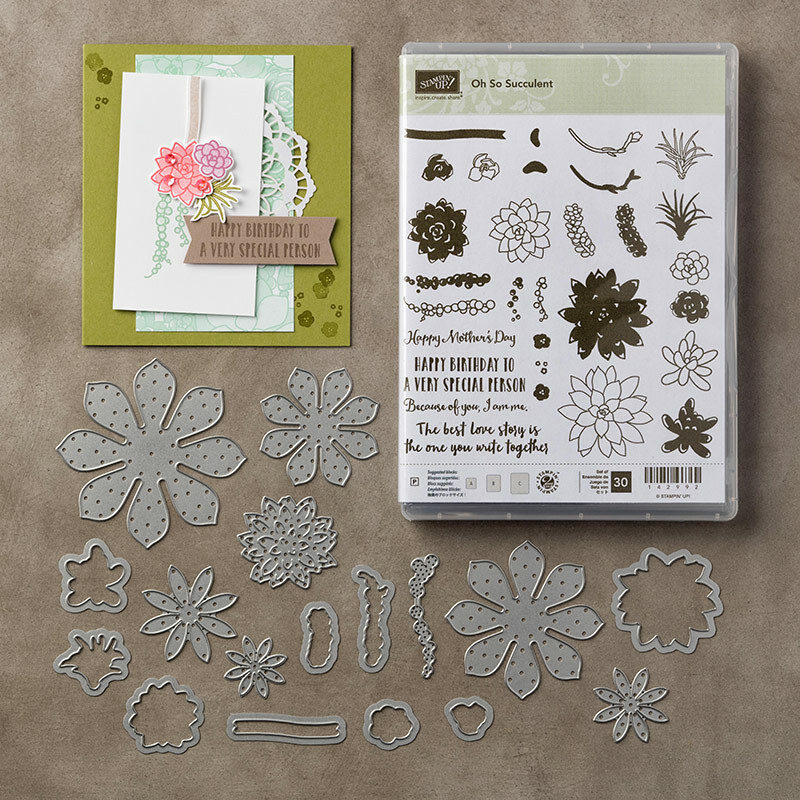 I’ve created a tutorial for this card along with four other projects featuring the Oh So Succulent bundle-my favourite in the Occasions catalogue! The tutorial goes through each step of creating this card, including how to create the macrame hanging basket. 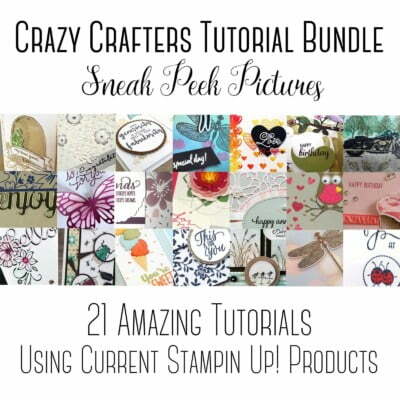 Another bundle to check out is the Crazy Crafters tutorial bundle containing 21 projects all using current Stampin Up products. You can access the bundle here! I love your take on this card Lisa. Thanks for the mention. 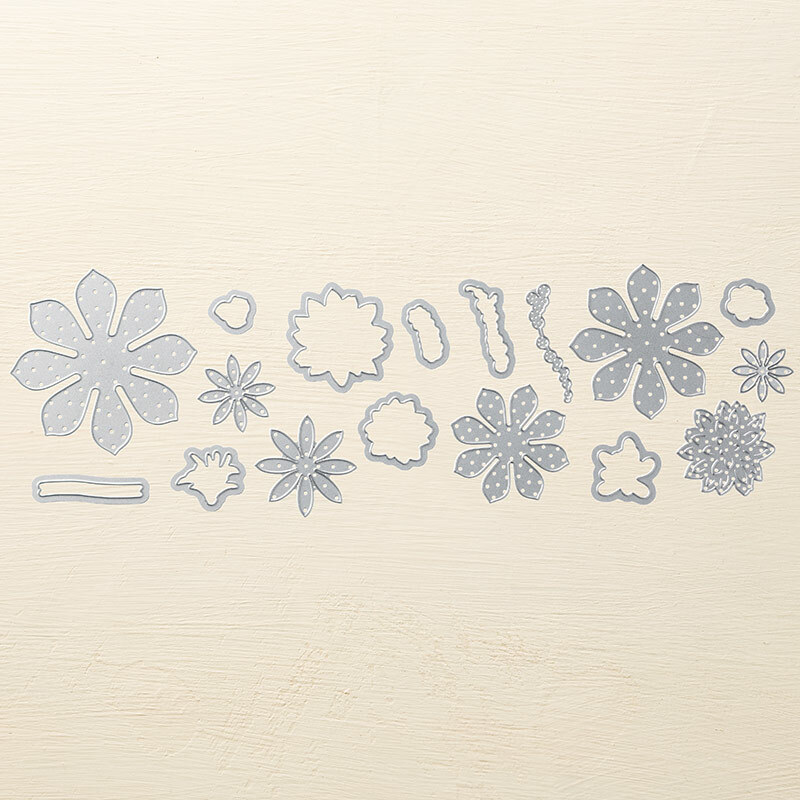 Love all your ideas with this gorgeous bundle.